The connection between political campaign contributions and municipal contract awards has been a murky one. The practice is not illegal but it is considered disturbing amongst many in the New York State Bar Association and most certainly disturbing to the public at large. This practice raises the specter of a conflict of interest. The Moreland Commission, that was set up by Governor Cuomo, suggested ways of making donations to and from elected officials who are attorneys more transparent. The commission suggested that they be required to list their clients so that the public could see who they were doing business with. Town of Huntington Councilman Mark A. Cuthbertson stands out in regard to this type of practice. Our findings indicate that the Huntington Councilman, through his private law firm (Law Offices of Mark A. Cuthbertson), and his campaign committee (Friends of Mark Cuthbertson) have donated tens of thousands of dollars to elected officials in other Towns. Those same Towns have then hired Mark Cuthbertsons law office to do legal work for them. Some of the municipalities that he has served as outside legal counsel for include the Towns of Babylon, Brookhaven, Islip and North Hempstead. It is also interesting that when some of these Towns switched to republican control he no longer donated to candidates or elected officials in those towns. 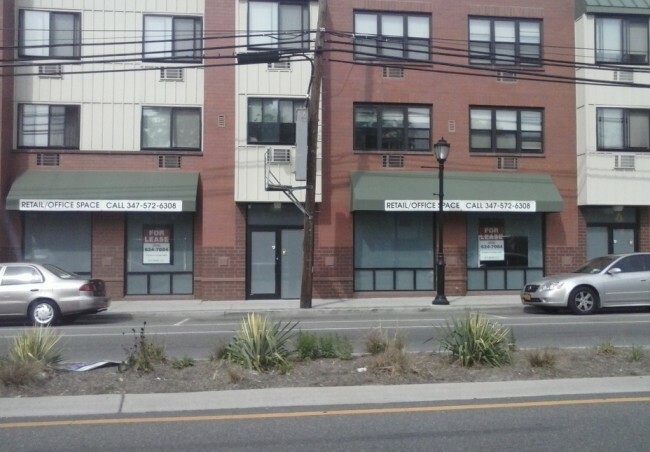 Documents indicate that the Law Offices of Mark Cuthbertson has received a total disbursement of $956,918.65 for the period 2004-2013 for legal services with the North Hempstead Community Development Agency (CDA). Be reminded that this is just from one Town agency. Mr. Cuthbertson has served as outside legal counsel for the Town of North Hempstead CDA since 2004. The North Hempstead CDA members are all appointed by the North Hempstead Town Supervisor who Mr. Cuthbertson has about $30,000 worth of donations to. Jon Kaiman became North Hempstead Supervisor in 2004. As outside counsel to the CDA, Mr. Cuthbertson worked on components of the New Cassel Urban Renewal plan that included the review of land lease agreements, condemnation proceedings etc. The Huntingtonian filed a freedom of information request for and reviewed multiple contracts and resolutions dating back to 2004 when the North Hempstead CDA initially retained Mr. Cuthbertson’s law firm. The resolutions and contracts were adopted by the CDA, which at that time was headed by a Mr. David Wasserman and later on, by a Mr. Neville Mullings. A copy of the contract can be found here. As a side note, the North Hempstead CDA has a history of scandals, criminal investigations and ultimately convictions. Former CDA head, Mr. David Wasserman was arrested in 2007 and pleaded guilty in 2008 to charges stemming from a North Hempstead Building Department scandal to include Grand Larceny, falsifying business records and receiving unlawful gratuities. For more on that story click here. Another more recent North Hempstead CDA head, Mr. Neville Mullings was recently convicted on various charges in connection with the New Cassel “Smart Growth” Redevelopment Project, which was one of the CDA’s pet projects. Those convictions included two counts of conspiracy and official misconduct. 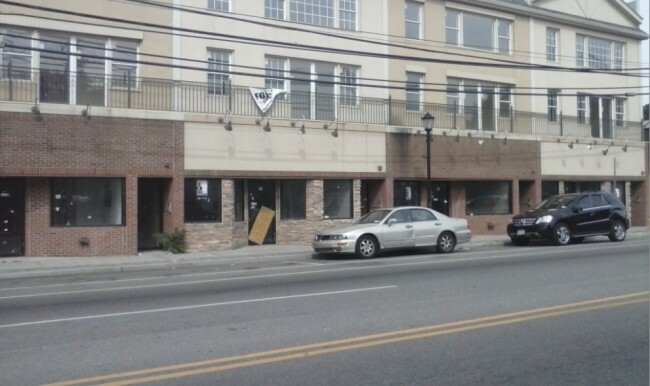 According to the Nassau County District Attorney’s Office, the New Cassel investigation revealed multiple schemes, including a large-scale bid-rigging and bribery scheme to steer the multi-million project (New Cassel Revitalization) to a selected developer, as well as the theft of public funds. For more on the New Cassel corruption case click here. For the list of partial verdicts click here. To watch an Eyewitness News report on the corruption case from July 2010 click here. Mr. Cuthbertsons law firm has also been retained by other townships on Long Island. Examples are provided below. Mark Cuthbertson has been retained as outside legal counsel in the town of Brookhaven. Specifically under the administration of previous Brookhaven Democrat Supervisors Brian Foley and Mark Lesko. One case that his law firm defended included “The Meadows at Yaphank”. In 2011, the Open Space Counsel filed an Article 78 against the town of Brookhaven in order to stop a high density development that included a 220 room hotel, 332 townhouse units, 294 condominiums and 224 rental apartments. Additional buildings for office space and retail were also part of the project. The site is located in the Long Island Pine Barrens region. The Open Space Counsel said the project was too dense and that it threatened the ecological balance in the area, including the Carmans River Watershed. They also stated that the rezoning was arbitrary, capricious and unlawful. The town, defended by Cuthbertson, ultimately won the article 78 case thereby allowing the development to proceed. Cuthbertson has contributed significantly to the campaigns of former Democrat Brookhaven Supervisor Foley, Lesko and to current Democrat Brookhaven Councilwoman Connie Kepert. (see chart above) These contributions were made during a period while he was retained as outside legal counsel to the town of Brookhaven. Cuthbertson is presently retained as outside legal counsel for the town of Babylon. Cuthbertson has contributed significant sums of money to the town of Babylon Democratic Committee. (see chart above) These contributions were made during a period while he was retained as outside legal counsel to the town of Babylon. In February 2008, Cuthbertson’s law firm was retained as outside legal counsel to the town of Islip Industrial Development Agency under Democrat Supervisor Phil Nolan who took office in 2007. Nolan has since lost a bid for re-election to Republican Supervisor Tom Crocci in 2011. Cuthbertson contributed to Nolan using his “Friends of Mark Cuthbertson” campaign account. (see chart above) Most of these contributions were made while Cuthbertson’s law firm was retained as outside legal counsel to the Islip Industrial Development Agency (IDA). No wonder Mark has that big Howdy Doody smile. There is a lot more to this story, keep digging! Howdy Doody? Please, More like the Famous Mr. Ed. As if Republicans don’t do this. BTW, Mr. Kaiman actually resigned as North Hempstead Town supervisor when he was appointed Chairman of NIFA (Nassau Interim Finance Agency)by Gov. Cuomo. Mark Cuthbertson actually has done an outstanding job as a Huntington Town councilman. He is an expert on municipal law and we are fortunate to have a person of his caliber on our town board. @Wundaboy: I assure you Kaiman left North Hempstead to become a “Long Island Storm Recovery” czar. He is being paid $150,000 for that position. Just last week he was appointed to NIFA, which is an unpaid position. In both instances Kaiman was appointed by the Governor. False equivalence: is a logical fallacy which describes a situation where there is a logical and apparent equivalence, but when in fact there is none. That is what you describe in your post. You claim that everything is Ok because republicans do it to. Susan Berland: democrat and an attorney but does not engage in the practices described by this article. So you are 0 for 2 or 0 for 3 with you false equivalency. You also claim that Cuthbertson is an “expert on municipal law”. I would say that he is an expert in making a lot of money representing Towns that he makes donations to. I wonder if the builders and land owners that he helps out when he is being an “expert on municipal law” give him legal work, political contributions, gifts, or maybe even vacations. @1653: Mr.Mayoka, in fact, is a CPA and an attorney (having graduated with a law degree from Pace University). I enjoyed your tutorial on false equivalency but that is a silly and convenient arguement that could be applied to you as well. I promised myself I wouldn’t but I have to. You do realize that having a law degree does not make you an attorney? I, too, wish you hadn’t but since you did, no I didn’t know that. Please explain why and how it relates to Mr. Mayoka. Thanks. You must take and pass a Bar Exam in the State(s) in which you want to practice law. Mr. Cuthbertson is adding up quite the salary bundle with all these legal counsel jobs for other towns! My question would be whether he is in the NYS pension system for all these positions! If you recall all the school district lawyers who finagled the system and got nice pensions on the backs of the taxpayers when they in fact were not employees of the districts, but contractors? Is Mr. Cuthbertson playing the same game? Just asking. HA! It finally makes sense. For anyone to think Cuthbertson is outstanding and defend him in the manner wunderboy does? Must be a lawyer whose gravey train is about to come to a screaching hault. Politicans should serve two terms, one in office and one in jail. Tides are turning……run you little rats and scream all you wish, your big fat ship is sinking quicker than the titianic. If the applause a’meter from last nights Meet the Candidate night is an indication of the results in a few weeks? Not only did Josh Price come out as a winner and finally show us all he NAILED the issues, but the only people clapping for Frank are the same ole same ole, all employeed by the town. In order of applause (town board only as the others were asked only a few questions) Gene Cook, Mark Mayoka, Tracey Edwards, Josh Price, Mark Curhbertson and poor Frank pulled in last. He was even boo’d at one point. AJ Carter was pulling people out of the auduence one by one into the hallway doing damage control which was great as we now know who we thought was friendly and now are sure are foe. Clearest message last night? NO MORE High density.